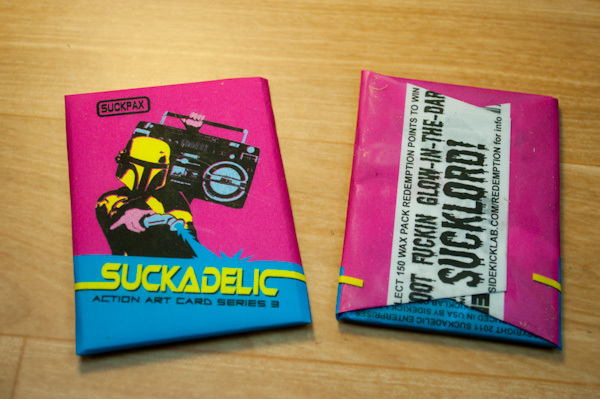 The Sucklord finished the excellent artwork for Suckpax 3 wax wrappers. Continuing the permutation of the Suckpax CMY color scheme, the primary color is Magenta this time. These are a couple of test prints (inkjet) which we waxed and wrapped to see how the wrapper fits. Looks OK to send out to print.